This past March we did a little hop over to Mexico City with friends of ours from Todos Santos. What an amazing, vibrant city. It was full of beautiful art, endless energy, intense flavors and smells (yes there is pollution), and big city sights and sounds. Vic & I ventured out early one morning to do a little street shopping before visiting the National Palace. You can buy almost anything you want off the sidewalks and for the lowest prices I have seen. The food stands were busy getting ready for their mid-morning rush. 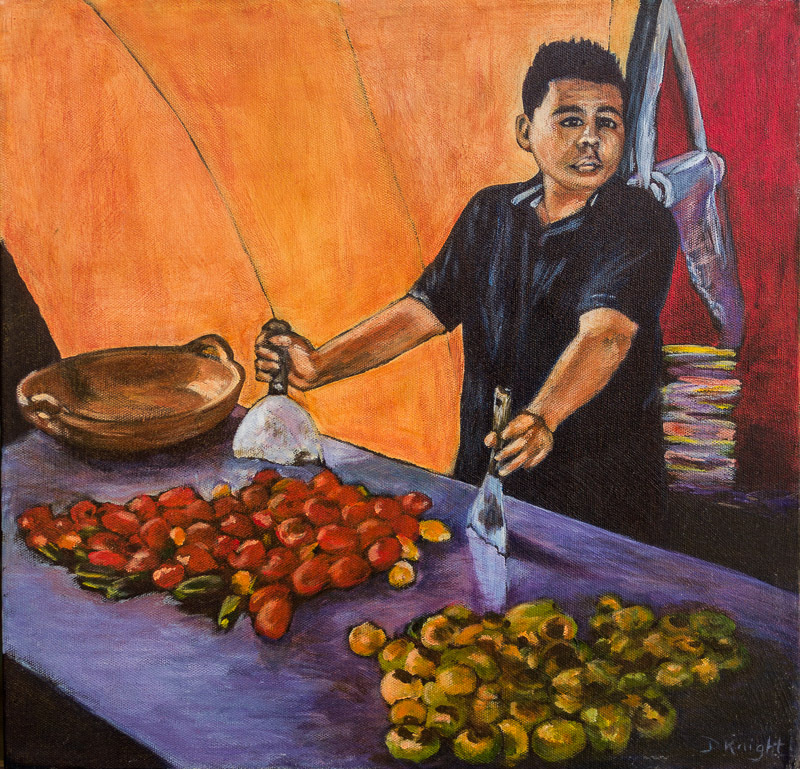 This young man was grilling beautiful red and green tomatoes for his fresh salsa verde and salsa roja. We did not eat any street food. We thought we were brave enough venturing out off the tourist track. Maybe next time. Poco a poco. Thought I was reading this on Facebook.� I like your storylines Diane.